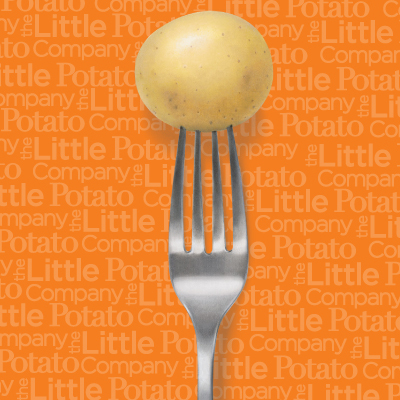 Add more nutrition to your St. Patrick’s Day dishes with Little Potatoes! St. Patrick’s Day is coming soon! Instead of tossing back some green beer this year, though, why not add some green to your meals? It’s tasty and healthy. 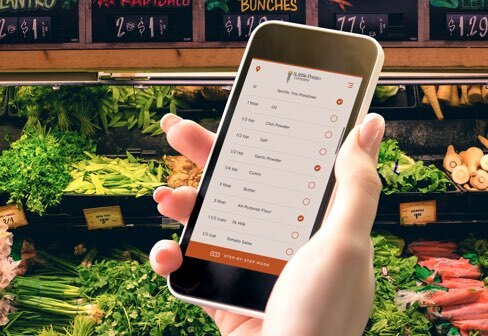 In fact, leafy green vegetables give us more nutrients per calorie than just about any other food, according to WebMD.-1 Pair that with the vitamin, iron and fiber-packed Creamer potatoes, and you’ve got a winning combo on the plate. Serve these five delicious dishes that taste as good as they look—recipes in honor of St. Patrick. 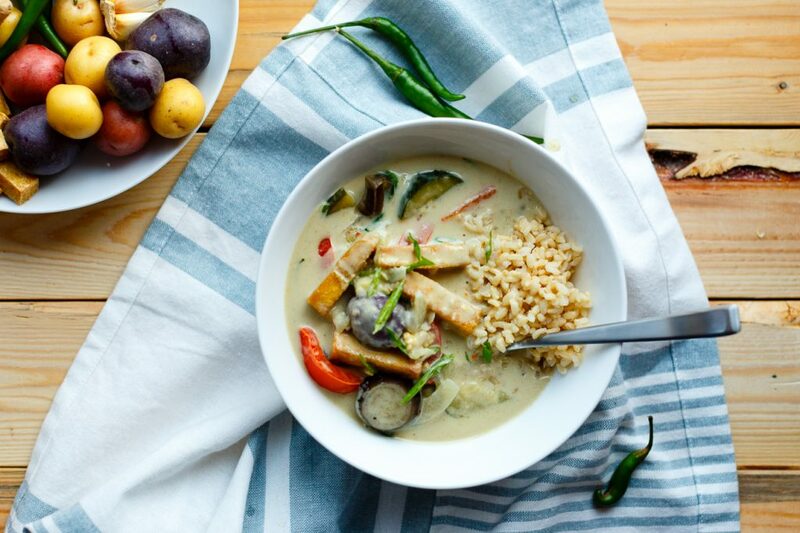 Vegan Thai Green Curry is a creamy, spicy dish with distinctive flavors, colors and textures. Make it a bowl meal-in-one by adding brown rice, stir-fried tofu, lentils or chickpeas to complement the mix of Terrific Trio Creamers, zucchini, eggplant, peppers, spinach, garlic and ginger—all in a rich coconut milk-green curry base. 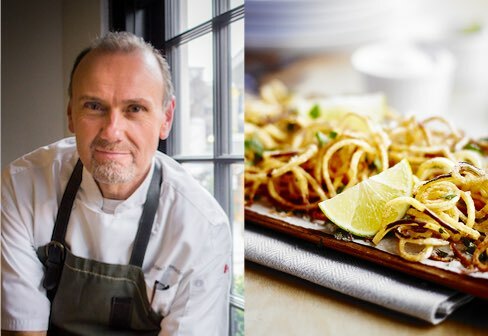 This dish very now: simple, yet elegant. What appeals is the marriage of crunch and color. 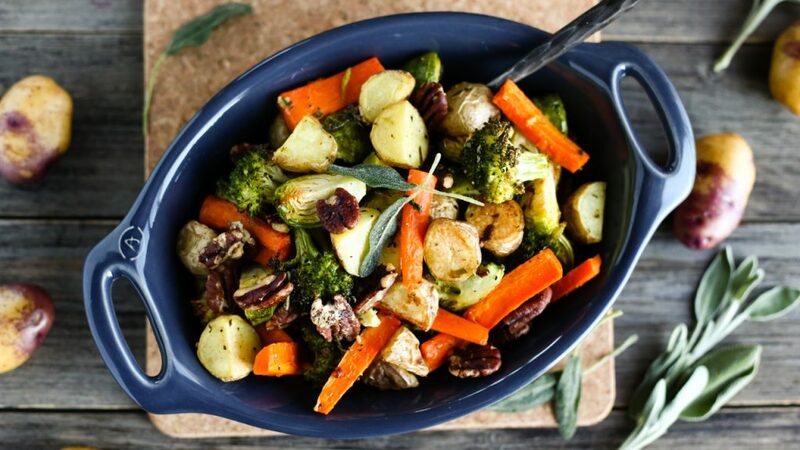 Cooked in the oven on a single baking sheet, Sage & Garlic Roasted Vegetables with Little Potatoes combines pretty Something Blue Creamers with broccoli florets, carrot sticks, Brussels sprouts and garlic with the nutty taste of toasted pecans and peppery sage. 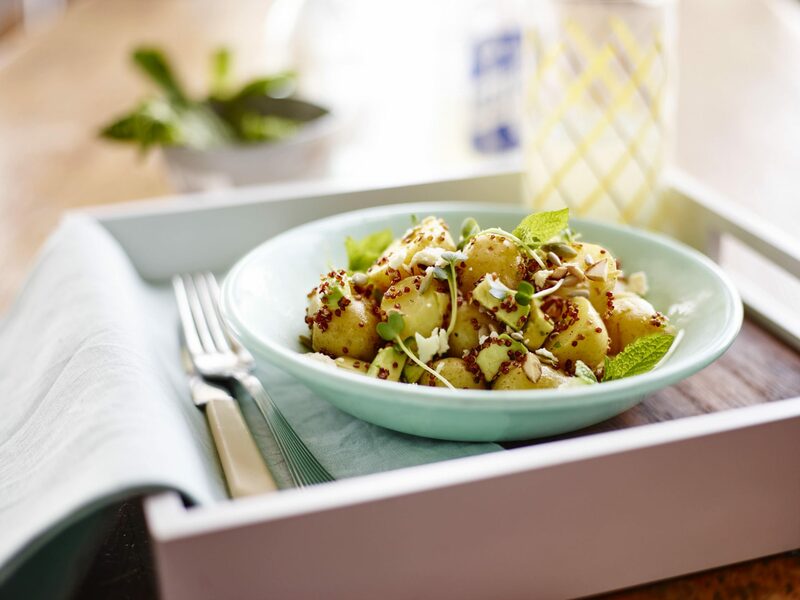 There’s the usual potato salad, and then there’s the Superfood Potato Salad. Make this one, packed with quinoa (contains all nine essential amino acids), Little Potatoes, sprouts and seeds (sunflower, pumpkin, almonds), plus salty feta and astringent mint, for a nutrient blast and energy boost—not to mention, a pleasing silky-crispy balance. 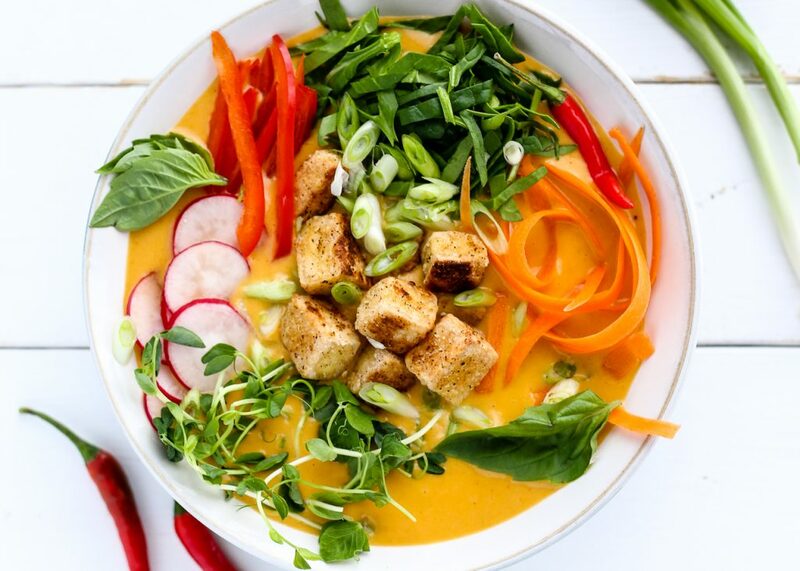 Creamy Vegan Red Coconut Curry Soup is a looker, loaded with crispy fried tofu, thinly sliced sharp radish, sweet carrot peels, buttery Baby Boomers and crunchy red bell peppers over an aromatic red-curry base. 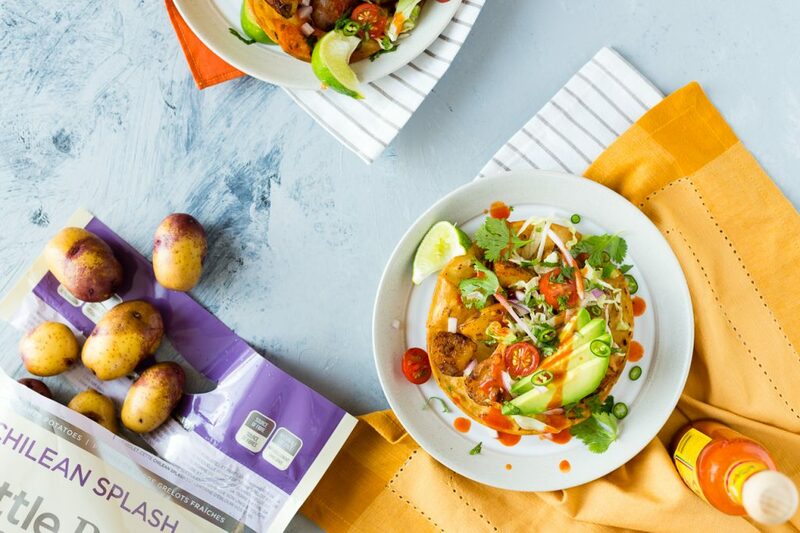 Bright and tangy, Easy Vegan Potato Tostadas are a modern update on the traditional Tex-Mex-style tostada. Pile your favorites onto a tender, warm corn tortilla: cherry tomatoes, avocado slices, shredded lettuce, thin-shaved onion, fresh cilantro and roasted bold Something Blue Creamers. Limes add zest, along with garlic, chili flakes and paprika, plus your choice of hot sauce or salsa. ¡Olé! 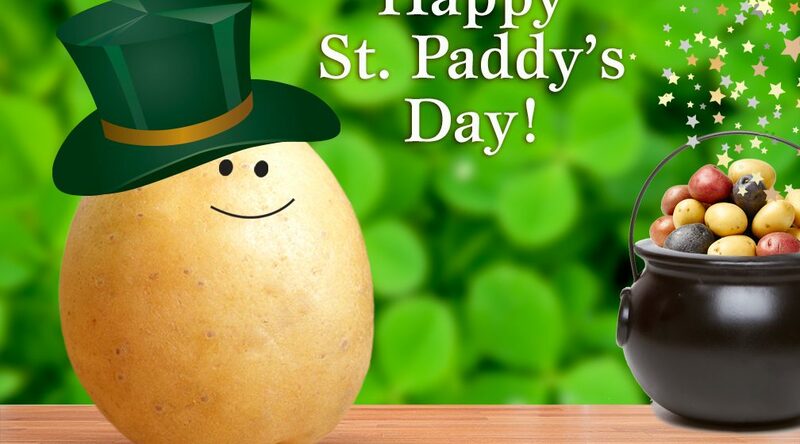 And don’t forget to make a little something Irish on St. Paddy’s Day—perhaps a wee Corned Beef or Cabbage and Potato Soup?